Countries of the Arabian Peninsula are thriving. Just think about how much publicity Qatar or the cities of Dubai and Abu Dhabi in the United Arab Emirates are getting. These locations are set to host a flight of sporting events and are sparing no luxuries to make it happen. Over the past two decades, 21st Century modern-day metropoles have risen from the desert and given luxury tourists new destinations to consider. Next on the list of events rumored to make its way to the Arabian Desert is the Dakar. So, will it be South Africa or Saudi Arabia? One of our readers pointed out that the rumor was already making the rounds when we published our story about the Dakar heading back to Africa, but some proper digging was required. It looks like countries in Southern Africa aren’t the only ones trying to seduce the Amaury Sport Organization (ASO); Saudia Arabia is also in the run and big piles of money might tip the balance. This time, the rumor was sparked by an Instagram post from Saudi Arabian rally driver Mohammed Altwaijri who wrote that the Dakar was heading to Saudi Arabia for a five-year agreement. Obviously, at this point, Dakar organizer ASO hasn’t confirmed which destination will get to host the Dakar, but by the sound of it, the change could happen as early as 2020. 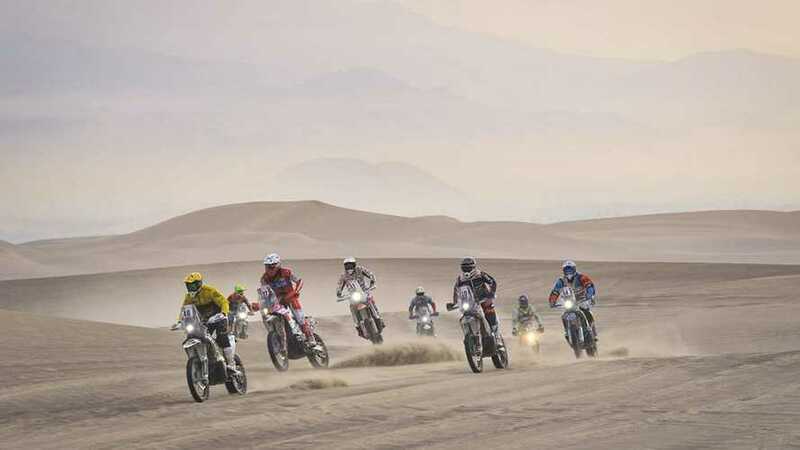 In fact, a number of closed doors forced organizer of the 2019 Dakar to limit the route within the confines of the Peruvian borders—surrounding countries had opted out of the event. Complications have apparently prompted organizers to look into a new destination for the rally. Saudi Arabia created the Sports Development Fund two years ago to inject money into attracting important sporting events. In fact, the kingdom isn’t the only one to have put on its veils and initiated a dance of seduction: other Arabian countries have also been digging out of their pockets to attract foreign agencies—think of the Qatar Grand Prix or of the 2022 World Cup. So which one will it be? Should the Dakar head to a new destination or go back home to the land where it all started?